Throughout 650+ miles, the spirit of the Tennessee River will be experienced in a whole new way. Students from our Schools of Landscape Architecture and Architecture are helping develop a long-term project that will provide a new way of experiencing, appreciating and understanding the Tennessee River and its 40,000-square-mile watershed that touches four states. The Tennessee River Project, led by Brad Collett, goes beyond a studio assignment. Following students’ trek along the Tennessee River in 2016 to build foundational research about the watershed and the precedent-setting Watershed Summits in January and September, students have since designed proposals that reimagine Knoxville’s urbanized waterfront landscape and are developing a long-term project focused on the creation of a multi-modal trail running the length of the Tennessee River. This is America’s next great trail. 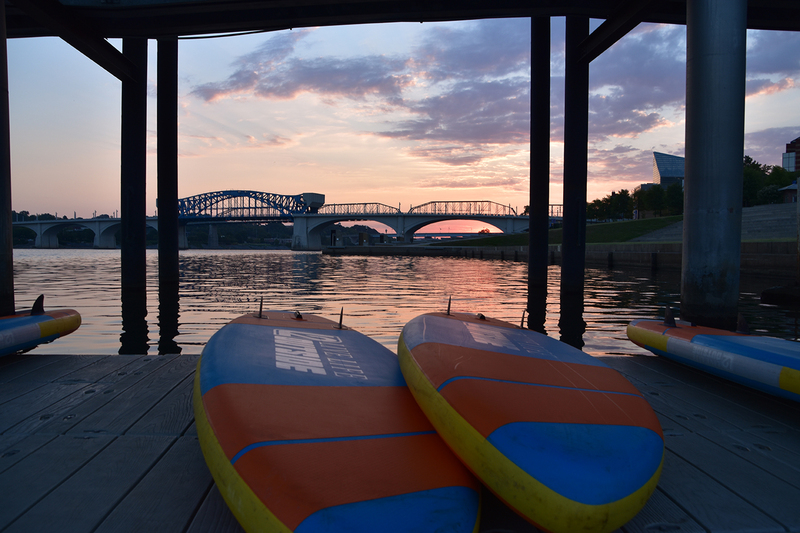 The Tennessee RiverLine celebrates the beauty and history of the Tennessee River, connects us with each other, our heritage and the river and catalyzes economic investment and ecological stewardship. The trail will be like no other. It will engage the user on foot, canoe or kayak and bike, giving a full appreciation and experience to weekend warriors, outdoor enthusiasts and the occasional visitor. Working with a team of partners including the National Park Service, Tennessee Valley Authority and Tennessee State Parks, faculty and students are developing ideas for this transformative project, a system of experiences that will stretch from Knoxville to Paducah, Kentucky. reignite a spirit of regional collaboration across the valley. Once completed, the trail will provide an unprecedented level of public access to the river and invite new tourism and economic development to the four-state region touched by the river. Choose the best way for you to help complete America’s next great trail. Learn more about the Tennessee RiverLine.